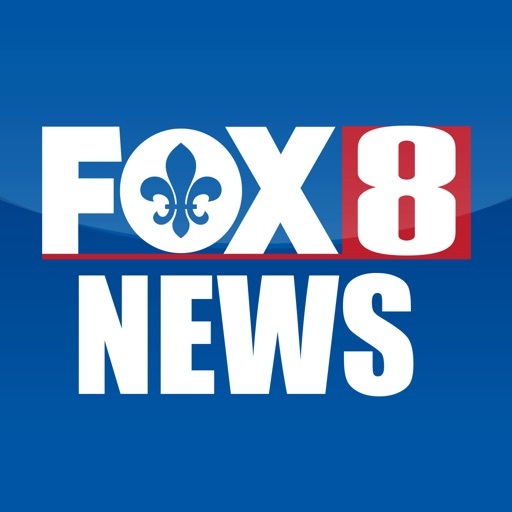 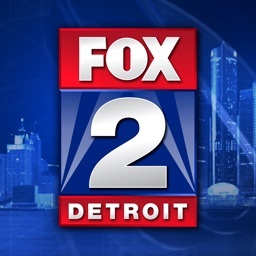 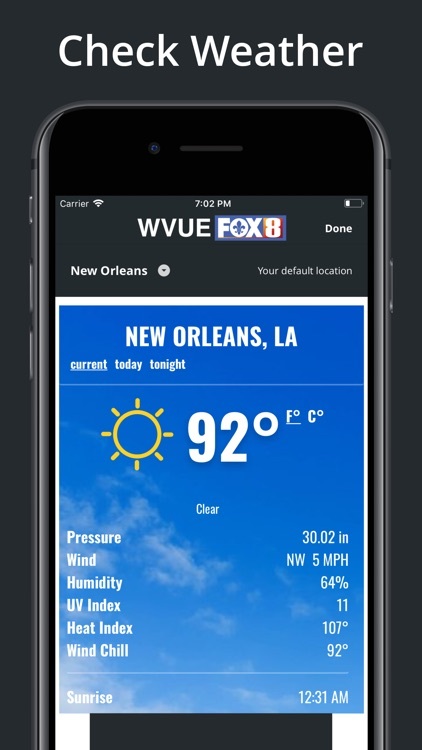 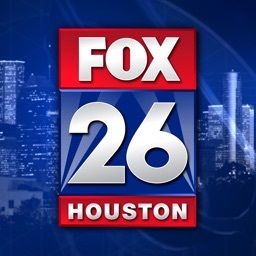 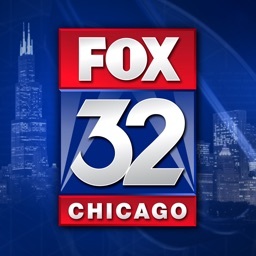 The updated WVUE FOX 8 news app provides New Orleans' latest breaking news, sports, weather and video from FOX 8. 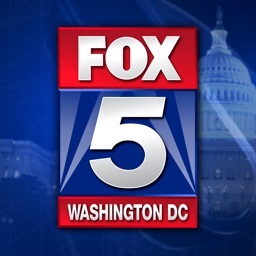 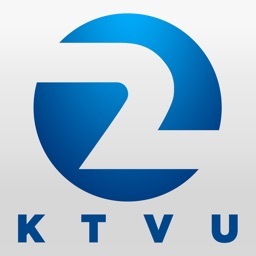 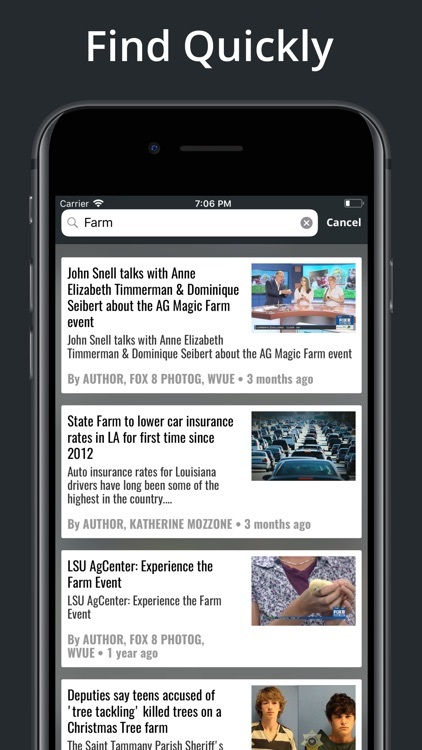 Additionally, the app provides entertainment news, strange news (Wait, What!?) 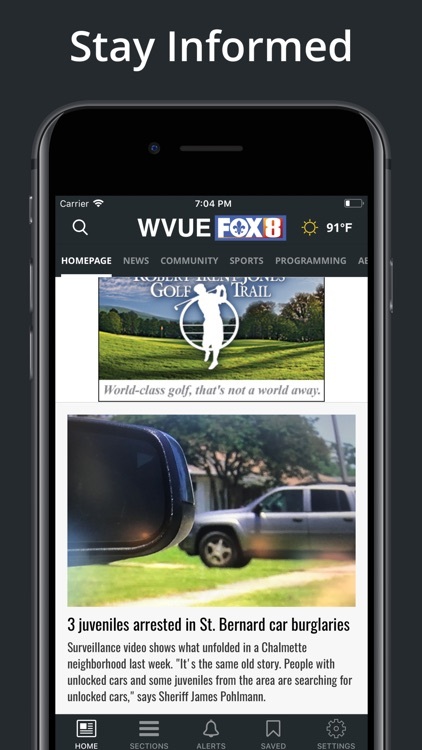 and national news content, as well as Saints, LSU (SEC) and high school sports coverage. 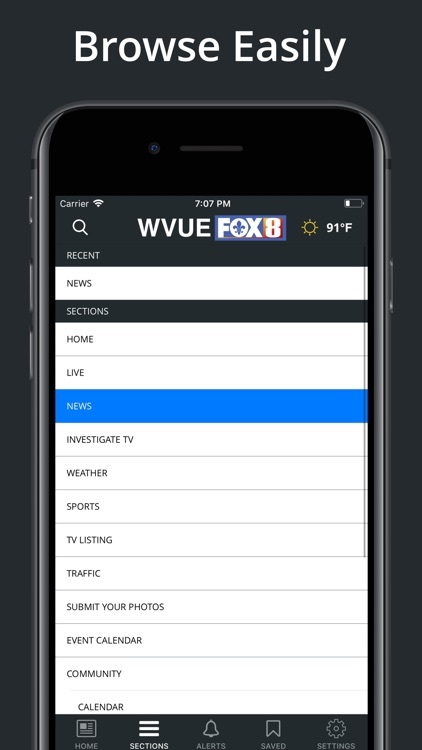 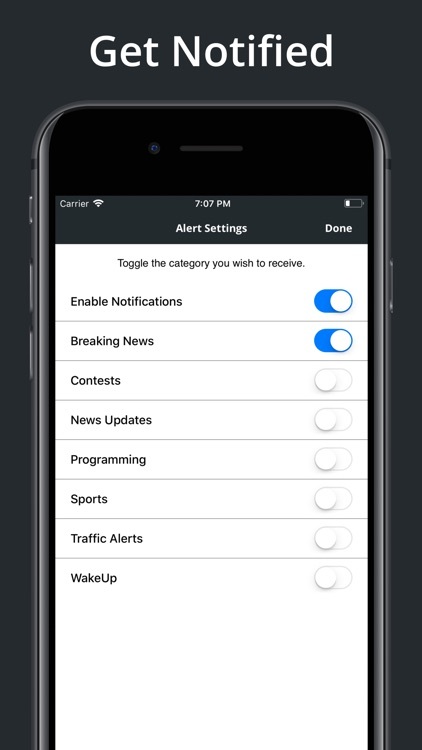 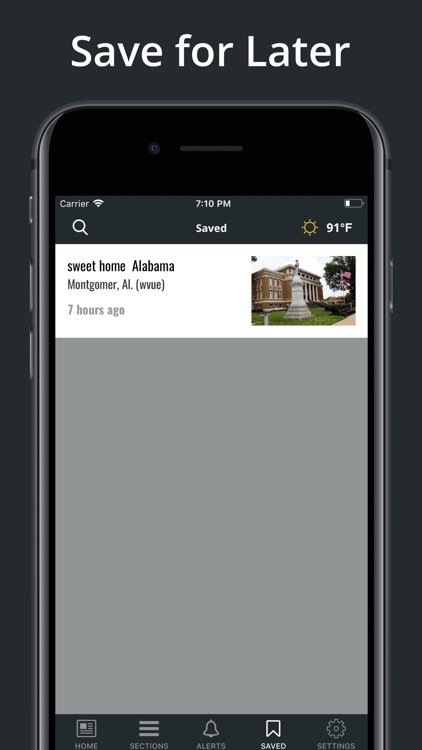 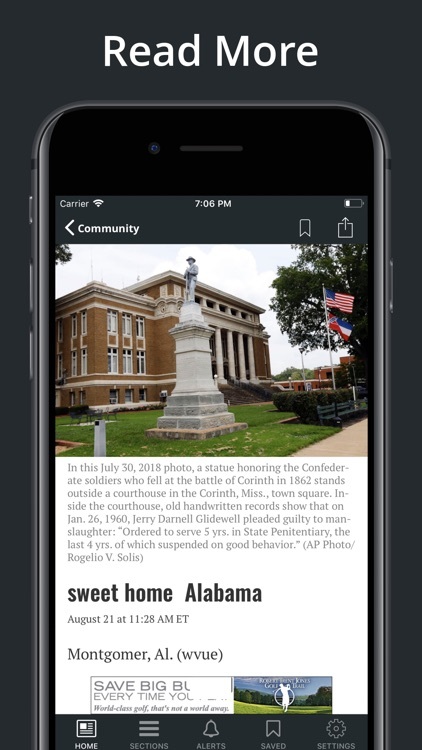 Stay informed from anywhere at any time with our new app.